Air-assist systems are designed to improve the throughput of hammermills. A hammermill grinds up wood, more wood can be ground up by pulling air through the hammermill. A plenum mounted above a conveyor is located below the hammermill. 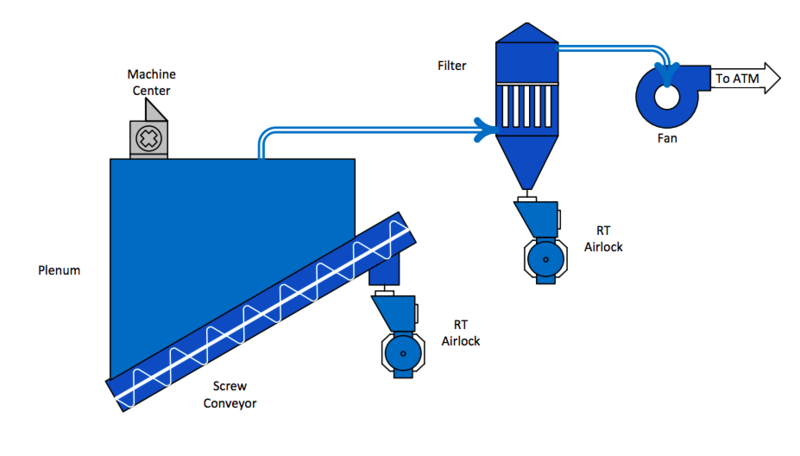 Most all material falls into the conveyor, air and some dust are pulled to a remote filter.